Editor’s Note: This article on “How to Decode Laundry Labels” is an unsponsored guest contribution from Part Select. Two pieces of clothing might look the same, but should they be laundered in exactly the same way? That depends! So how do you figure out the best care methods that keep your clothes in good shape? 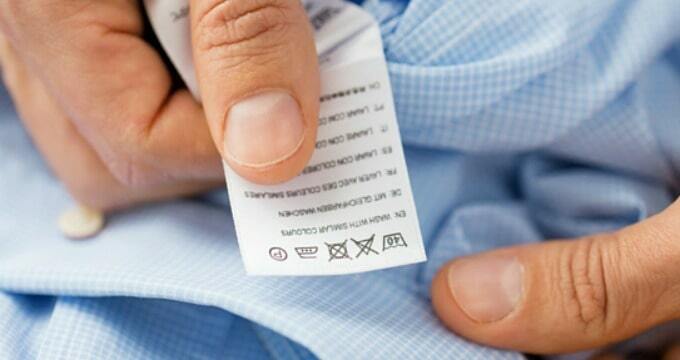 The information isn’t hard to find — it’s all in the clothing tags. Every piece of clothing uses symbols to help people know how to match the care requirements with the options available on washing machines and dryers. The labels also indicate which additives, like soap and bleach, are safe to use and which you should avoid. You have probably noticed them, but maybe you wondered what those symbols mean. Once you know how to decode laundry labels you can easily group like items with other like items, which leads to fewer cleaning errors. Your tags can also tell you handling tips, like whether you should wring out a piece of clothing or whether dry cleaning is most appropriate. Print out and use this graphic, then keep it handy where you sort and do laundry, to guide you from laundry start to finish.